All photos are copyright to the Author, and may only be reused with appropriate acknowledgement. These pages are dedicated to the greatest class of steam locomotive ever created in the World: Sir Nigel Gresley's A4 class. 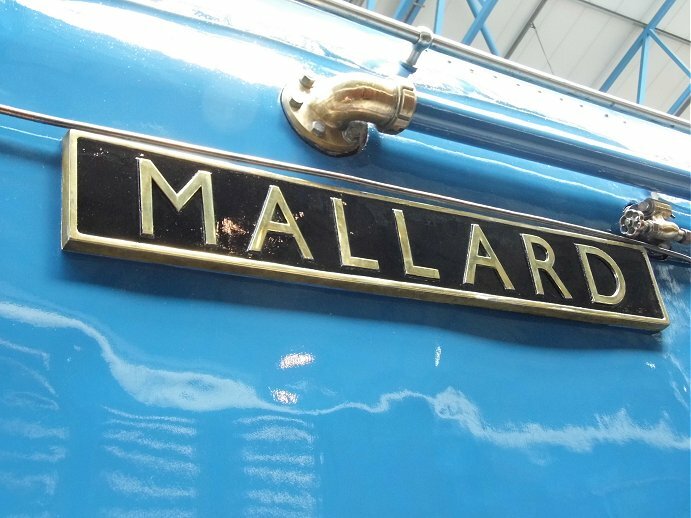 The Blue Duck to which these pages are dedicated is none other than the fastest steam locomotive in the World: London and North Eastern Railways locomotive 4468 - Mallard. I have been an admirer of the Blue Duck ever since I saw her for the first time (and believe me that was a couple of decades ago!). Click here for images from Mallard's second Scarborough Spa Express run, August 13th 1988, and her 50th Anniversary run. Click here for Mallard 88 run over the Settle-Carlisle route, and Mallard in Sheffield 1988. Click here for Sir Nigel Gresley at the Great Central Railway, August 1994. 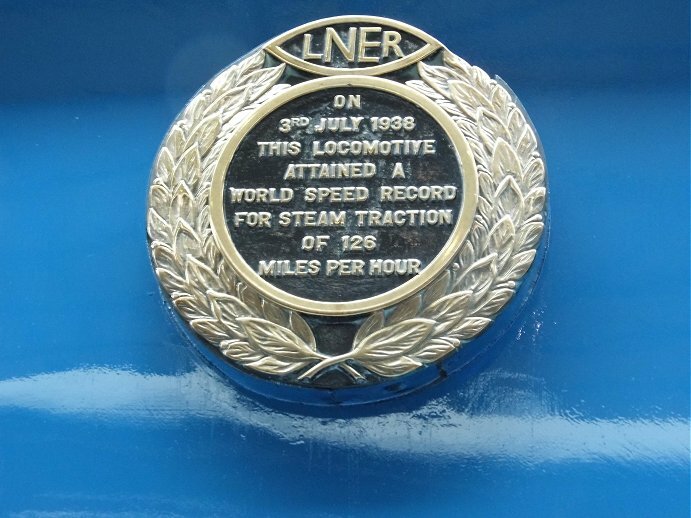 Click here for Sir Nigel Gresley's Golden Jubilee run through Sheffield and the Scarborough Flyer 1988. 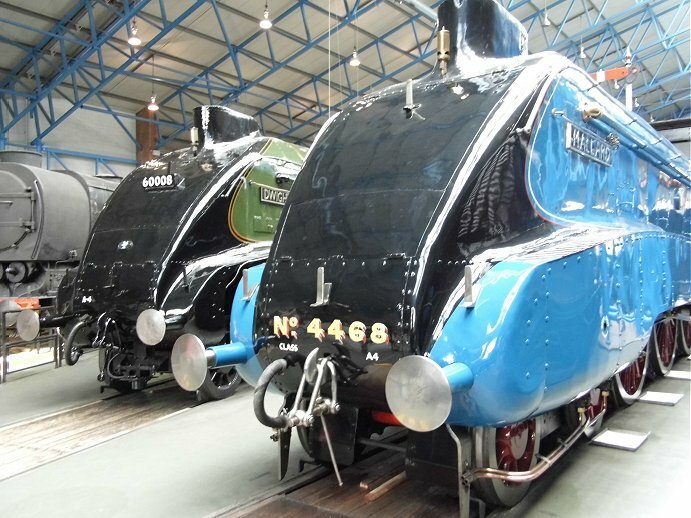 Click here for the homepage of the Sir Nigel Gresley Locomotive Preservation Trust. Click here for 60009 Union of South Africa on the August 9th 2007 Scarborough Spa Express. Click here for 60019 Bittern on the September 30th 2010 Silver Jubilee 70th anniversary. Click here for 60019 Bittern as 4492 Dominion of New Zealand, April 27th 2011. Click here for 4464 Bittern, 4468 Mallard with 60163 Tornado and 60532 Blue Peter at Barrow Hill 'Fab Four', April 15th 2012. Click here for 60010 Dominion of Canada and 60008 Dwight D Eisenhower, October 25th 2012. Click here for 4468 Mallard and 60008 Dwight D Eisenhower, May 16th 2013. Click here for 4489 Dominion of Canada and APT-E, May 23rd 2013. Click here for the Great Reunion with all six Gresley A4 pacifics, July 3rd 2013. Click here for Mallard exhibition Wed 11th Sept 2013. Also 4468 Mallard & 55019 Royal Highland Fusilier, Sept 15th 2013. Click here for the Autumn Great Reunion with all six Gresley A4 pacifics, October 24th and 27th 2013. Click here for four Gresley A4 pacific locomotives, NRM York 28th December 2013. Click here for the Great Goodbye, NRM Shildon 20th February 2014. Click here for Sir Nigel Gresley Goodbye, NYMR 15th September 2015. Click here for 103/502 Flying Scotsman at the NRM, June 1st 2011. Click here for 60163 Tornado on test 6/11/08 and Barrow Hill LNER Festival April 6th 2009. Click here for Bulleid Pacifics page. 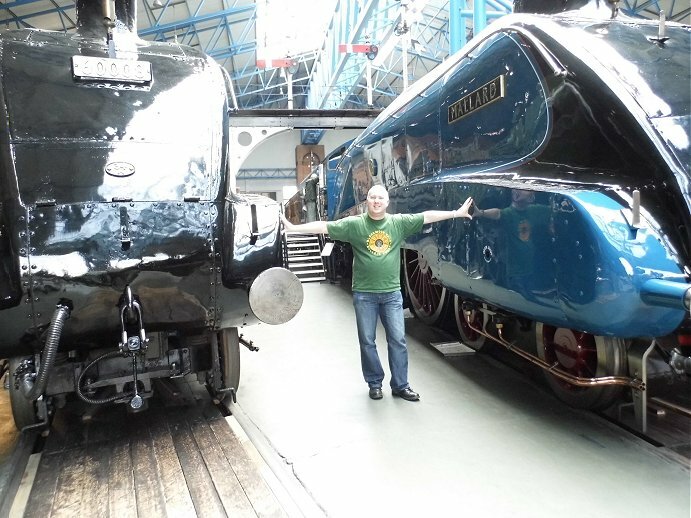 Gresley's student and the masterpieces he created for Southern Railways. Click here for pioneering British Steam Locomotives at Shildon NRM Oct. 25th 2011 and the Science museum, Nov. 11th 2011. Click here for ex-Sheffield Millhouses Jubilee 45699 Galatea with the Scarborough Spa Express. July 24th 2013. Click here for ex-Dinting rebuilt Royal Scot 46115 Scots Guardsman with the Scarborough Spa Express. July 31st 2013. Click here for the Scarborough Spa Express 2014 and Seaside Flyer trip with 47 580 County of Essex. August 12th 2014. Click here for the Seaside Flyer trip with 57 316. August 26th 2014. Click here for the Doncaster Works anniversary July 26th 2003. Click here for the York Railfest 2004. Click here for the York Railfest. June 2012. Click here for the Keighley & Worth Valley Diesel Gala. June 8th 2014. Click here for the East Lancashire Railway Spring Diesel Gala. March 7th 2015. Click here for the Hunslet 150th Anniversary gala, Middleton Railway, Leeds. Sunday 19th July 2015. Click here for the London Midland 65 Event, Barrow Hill Roundhouse. Sunday 27th September 2015. Click here for the Scarborough Spa Express 2015 with 45699 Galatea. Wednesday 28th October 2015. Click here for the East Lancashire Railway Spring Diesel Gala. February 20th 2016. 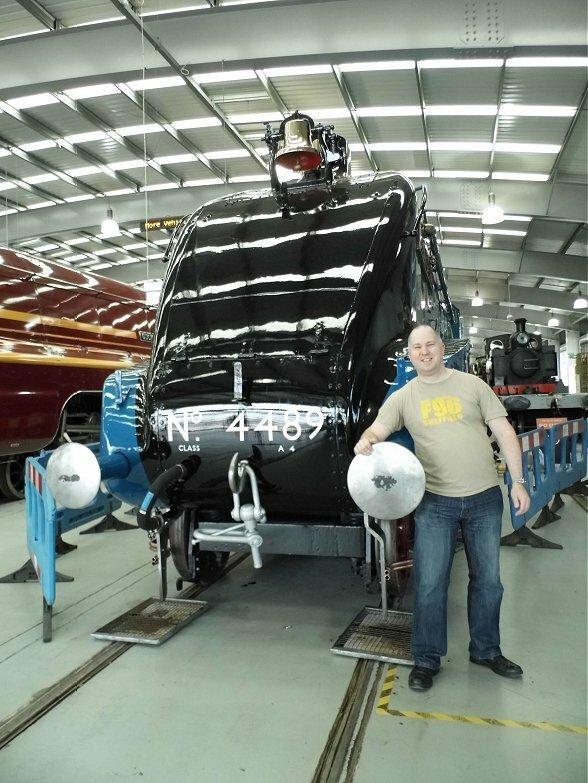 Click here for the return of Flying Scotsman. February 25th 2016. Click here for the Nene Valley Railway Spring Diesel Gala. April 10th 2016. Click here for the Royal Scotsman train and Abertay Reunion. April 22nd and 23rd 2016. Click here for Flying Scotsman and naming of 66779 Evening Star. May 10th 2016. Click here for Head of Steam Darlington and NRM Shildon. May 27th 2016. Click here for 46100 Royal Scot at Castleford and the NRM. June 14th and 15th 2016. Click here for the East Lancs Railway Summer Diesel Spectacular & Freightliner Leeds Midland Road depot July 10th 2016. Click here for Flying Scotsman Shildon Shedbash. July 27th 2016. Click here for the Great Central Railway Diesel Gala. Sunday September 11th 2016. 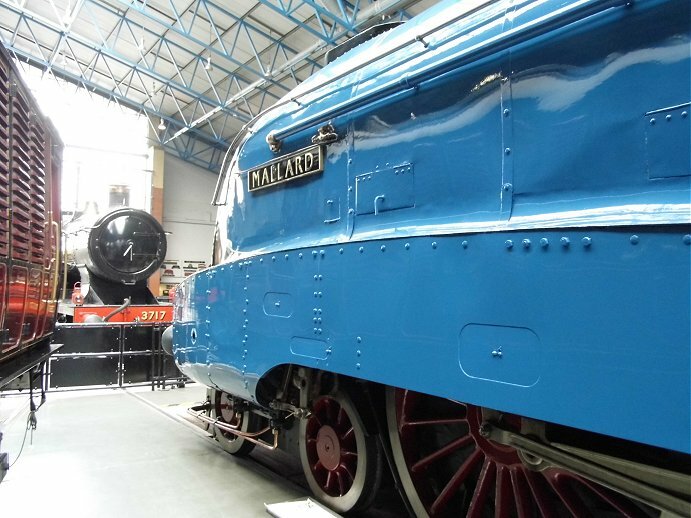 Click here for the HST 40th Anniversary with Sir Kenneth Grange at NRM. Sunday October 2nd 2016. Click here for the Scarborough Spa Express 2016 with 45699 Galatea. Tuesday 25th October 2016. Click here for the Scarborough Spa Express 2016 with 47802. Wednesday 26th October 2016. Click here for the Keighley & Worth Valley Railway and Haworth. December 28th 2016. Click here for the Peppercorn A1 60163 Tornado running the Settle - Appleby plandampf service trains 15 February 2017. Click here for the East Lancashire Spring Diesel Gala 19th February 2017. Click here for the Great Central Railway Diesel Gala. Sunday March 19th 2017. Click here for the Severn Valley Railway Diesel Gala. Friday May 19th 2017. Click here for the Great Central Railway (Nottingham) Diesel Gala. Sunday July 2nd 2017. Click here for the Direct Rail Services Open Day at Carlisle Kingmoor. Saturday July 22nd 2017. Click here for the Yorkshire day out and Freightliner at Midland Road. Tuesday July 25th 2017. Click here for the Barrow Hill Grand Re-opening Gala. Flying Scotsman, Tornado and DRS. Sunday September 24th 2017. Click here for the Great Central Railway Autumn Gala. 92 Sqn and Sir Keith Park. Sunday October 8th 2017. Click here for the Grand Farewell railtour. Grand Central HST farewell Sunday December 17th 2017. Click here for the Scarborough Spa Express 2018 with 8F 48151. Wednesday 4th April 2018. Click here for the Class 40 60th Anniversary Gala. Sunday 15th April 2018. Click here for the Class 45 haulage and railtours 1987 - 88. Click here for the Midland Railway - Butterley Diesel Gala. Sunday 17th June 2018. Click here for Royal Scot at the KWVR 50th Anniversary. Wednesday 27th June 2018. Click here for the KWVR 50th Anniversary Diesel Gala. Sunday 1st July 2018. Click here for the train trips down and back Leeds to Plymouth to see HMS Enterprise. Wednesday 25th July 2018. Click here for 45690 Leander on the Scarborough Spa Express. 30th August 2018. Click here for the Class 50 50th Anniversary on the Severn Valley Railway. 4th October 2018. Click here for the Spring Steam Gala on the Keighley & Worth Valley Railway. 10th March 2019.